The Teradek OMOD | AKS Low-Profile Side Arm joins the OMOD DSMC2 Riser and a DSMC2 Top Plate to create a full camera cage. 1/4"-20 and 3/8"-16 threaded holes can be used for convenient accessory mounting on the side of the camera. 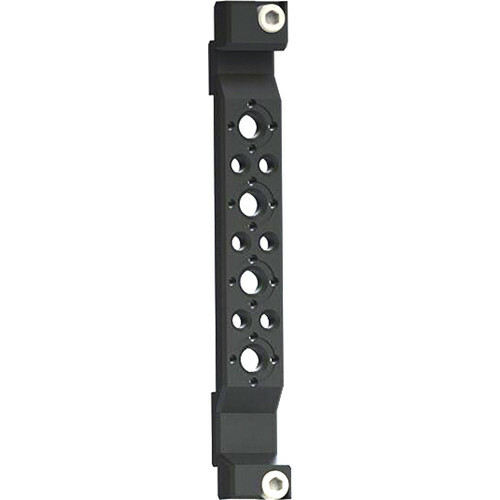 The 3/8"-16 threads have ARRI registration notches for compatibility with ARRI rig accessories. The low-profile design of this arm allows it to remain close to the camera body when an OMOD module is attached to your DSMC2 camera by using the space usually taken up by RED's Base Expander module. Box Dimensions (LxWxH) 9.0 x 2.5 x 0.65"